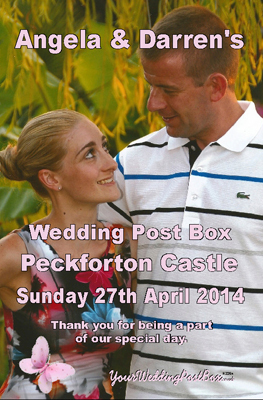 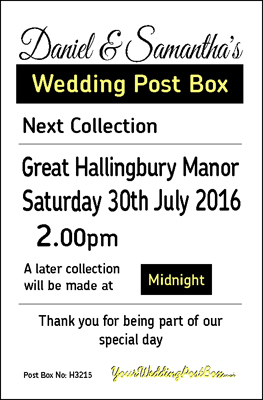 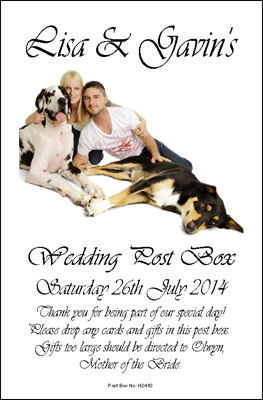 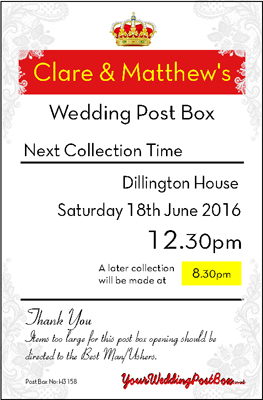 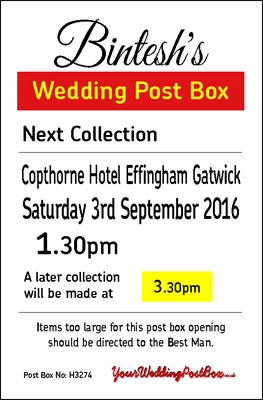 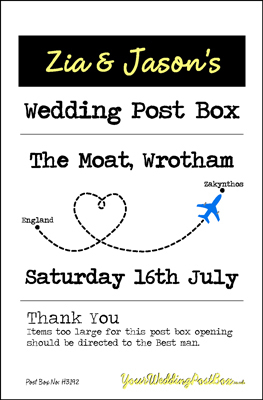 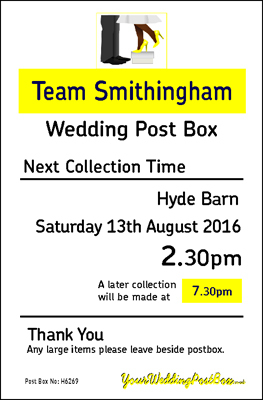 Your Personalised Wedding Post Box. 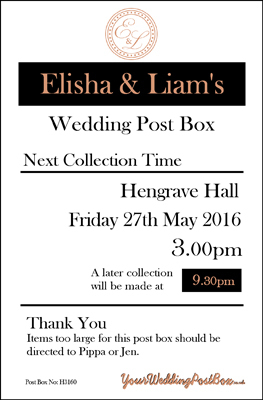 Once you have decided upon the colour then it is time to consider a design for your information panel for your personalised wedding post box. 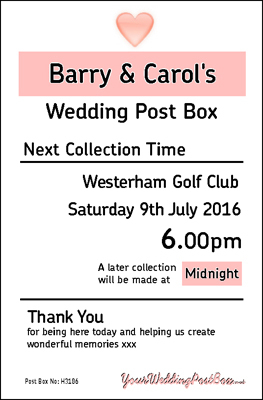 You could either choose to have your special details, names, the venue for your wedding reception and of course the date of your special day included in a classic style information panel, a more bespoke design created from your design brief or if you prefer you could design entirely your own panel to fit within the border frame. 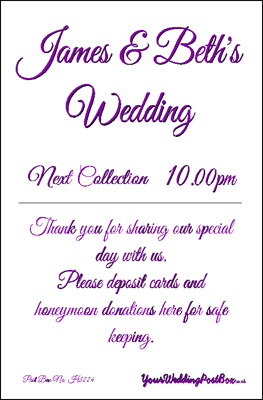 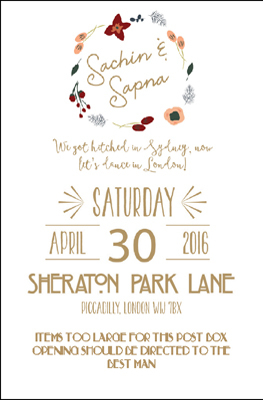 Your own design could include a photo of the happy couple, any personal messages to your guests or even follow the respective theme of your wedding. 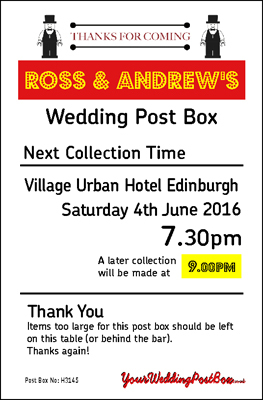 Only limited by your imagination and by the size of the panel. 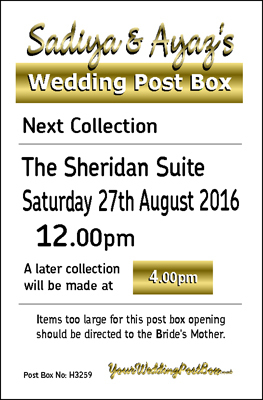 The choice is entirely yours. 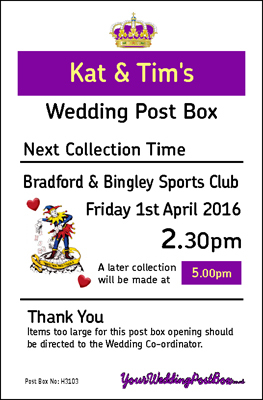 We then professionally print your selected design for you and apply it to the frame of the information panel completing the personalisation for you with a stunning finish.